The flexibility and freedom to come up with innovative teaching ideas is something associate professor Julia Terry loves about her role. The flexibility and freedom to come up with innovative teaching ideas is one of the things associate professor Julia Terry loves about her role. Julia Terry moved into nurse education after more than a decade in clinical practice. 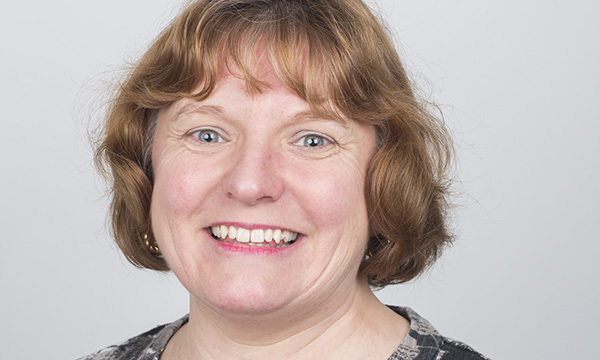 Last year, Julia Terry became the first mental health nurse to be appointed a National Institute for Health and Care Excellence (NICE) fellow, and she believes hard work brings its own rewards. Ms Terry qualified as a mental health nurse (RMN) in 1994, after training at Goodmayes Hospital in Essex. After 13 years in clinical practice, working mostly with adults in the community and child and adolescent mental health services, she moved into nurse education. Married with three children, Ms Terry is now an associate professor at Swansea University in Wales. Teaching healthcare students about mental health. I mostly work with pre-registration nursing students. I have always loved learning and supporting others’ development. After my masters, I did a postgraduate certificate in education and undertook teaching hours at the university to gain experience. I then waited patiently for a vacancy. Mostly students, and also members of our service user and carer group, which I lead. It is essential that patients and carers are part of healthcare education. The flexibility and freedom to come up with innovative teaching and learning ideas that will help students learn about best practice, ultimately improving patient care. I find so many things interesting that it’s hard to decide what not to do. To continually develop and progress, and support others to do so, within a healthcare context. I have had lots of great mentors over the years who have guided me. The university environment is a supportive one to work in. Being promoted this year. It felt like recognition for all the different work I’m involved in. Settling into my new role and completing my PhD. To stop and think more, and to know that hard work will bring its own rewards.